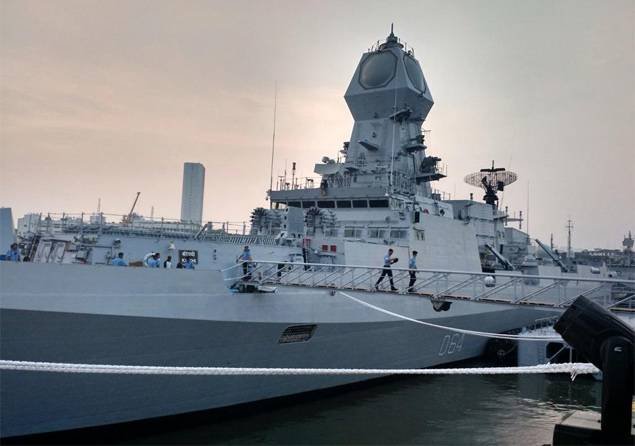 Defence minister Manohar Parrikar on Wednesday commissioned naval warship INS Kochi, the stealth guided missile destroyer, at the naval dockyard in Mumbai. Here are 10 things you should know about INS Kochi. 1. INS Kochi is the largest India-made warship. 2. The warship is designed by the Navy's in-house organisation, directorate of naval design, and it is constructed by Mazagon Dock Ship builders Ltd in Mumbai. 3. It has displacement of 7,500 tons and it is 164 metres in length and 17 metres at the beam. 4. The ship is propelled by four gas turbines and designed to achieve speeds in excess of 30 knots. 5. The ship has a complement of about 40 officers and 350 sailors. 6. Destroyer INS Kochi has the motto: Jahi Shatrun Mahabaho (Armed to conquer the enemy)! 7. INS Kochi is packed with an array of state-of-the-art weapons and sensors, with a significant indigenous component. 8. The 7,500-tonne INS Kochi, the second of the three Kolkata-class destroyers being built at Mazagaon Docks (MDL) at Mumbai for over Rs 4,000 crore apiece, is the 10th destroyer in India's combat fleet. 9. The first of this class, INS Kolkata, was commissioned in August last year. 10. The third warship, INS Chennai, will be inducted towards end-2016.